"Early last year I reviewed the incredibly riveting short film Coming Home, from writer and director Shiva Rodriguez. 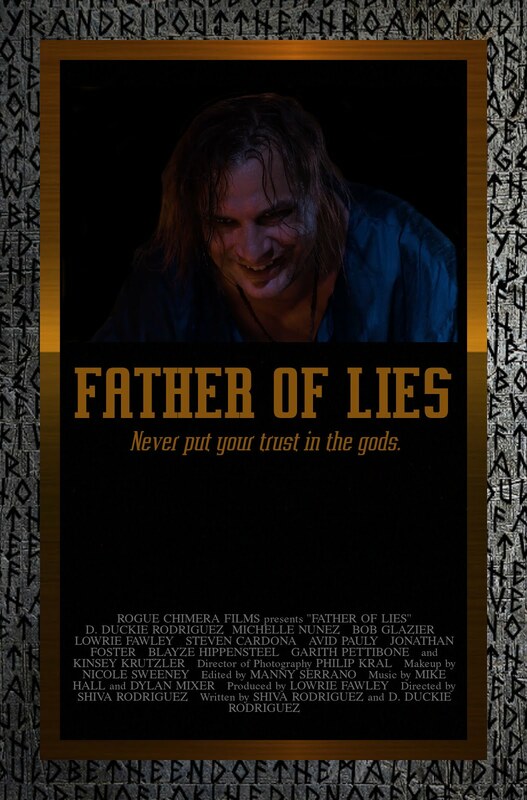 Today we take a look at her next project Father of Lies, a more culturally accurate telling of Loki’s rise into a dangerous trickster god and another look into a twisted family dynamic. 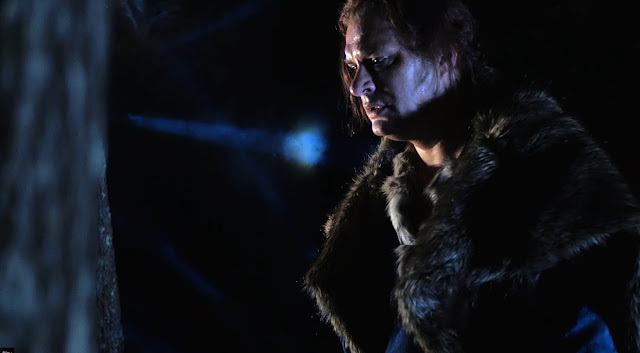 For those that only know the story of Loki and Thor from their playful banter in the MCU, Rodriguez is happy to set that story straight, bringing to light the far more hateful dynamic between the two." 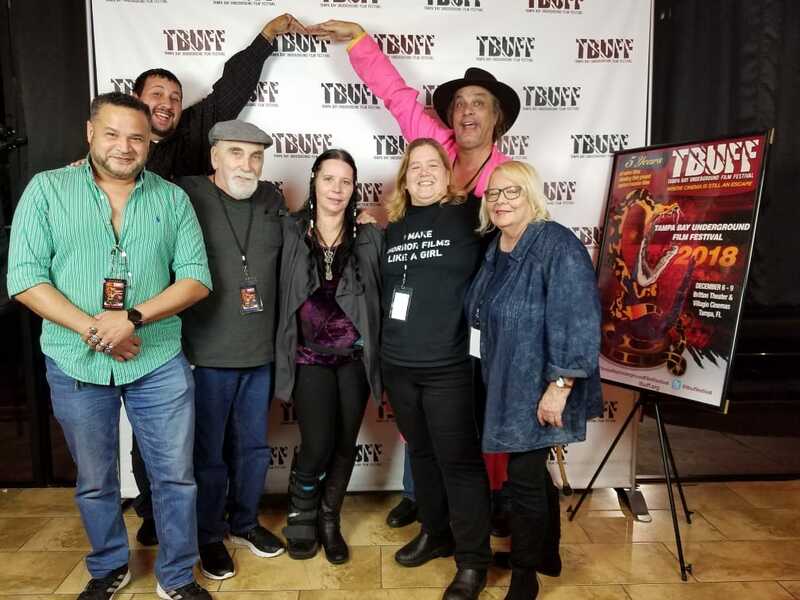 At the Tampa Bay Underground Film Festival on Dec. 9, 2018. Left to Right: Steve Cardona ("Thor"), Dustin Mueller (Production Assistant), Bob Glazier ("Odin"), Shiva Rodriguez (Director/ "Sigyn"), Sandra Nye (Production Manager), D.Duckie Rodriguez ("Loki"), and Virginia Jasper (Craft Services). 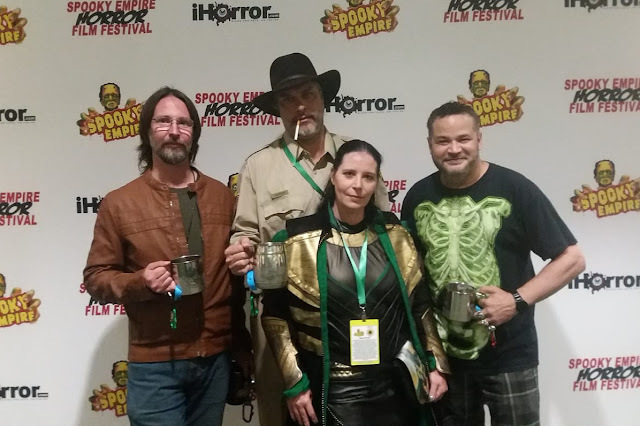 Garith Pettibone ("Tyr"), D. Duckie Rodriguez ("Loki"), Shiva Rodriguez ("Sigyn"), and Steven Cardona ("Thor") at the screening of "Father of Lies" on October 28, 2018. 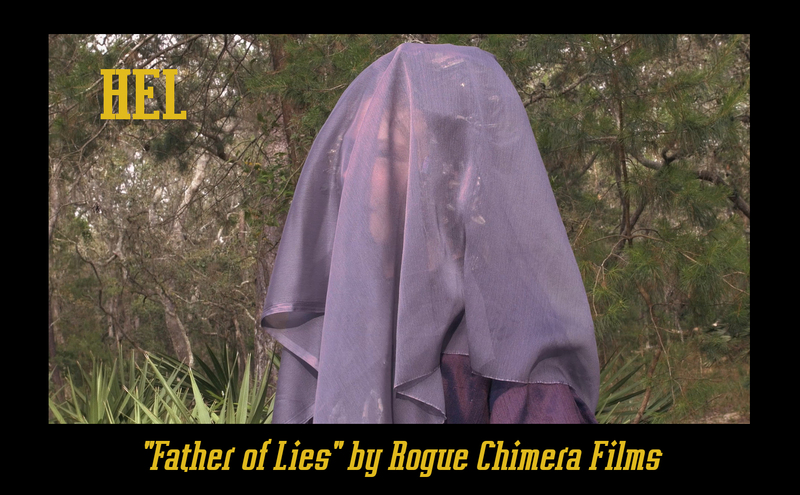 Fun Fact: Director Shiva Rodriguez started building her cosplay outfit long before "Father of Lies" was even written. It was a funny coincidence that she ended up introducing the film dressed like Marvel's Loki character. "Father of Lies" will be screening at the Tampa Bay Underground Film Festival on December 9th in the 3:35pm Sci Fi & Fantasy Film block. You can purchase advance tickets HERE. 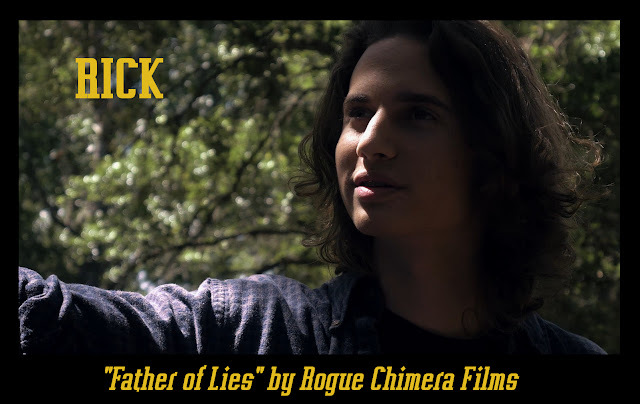 "Father of Lies" will be screening at Spooky Empire's Film Festival in Orlando. 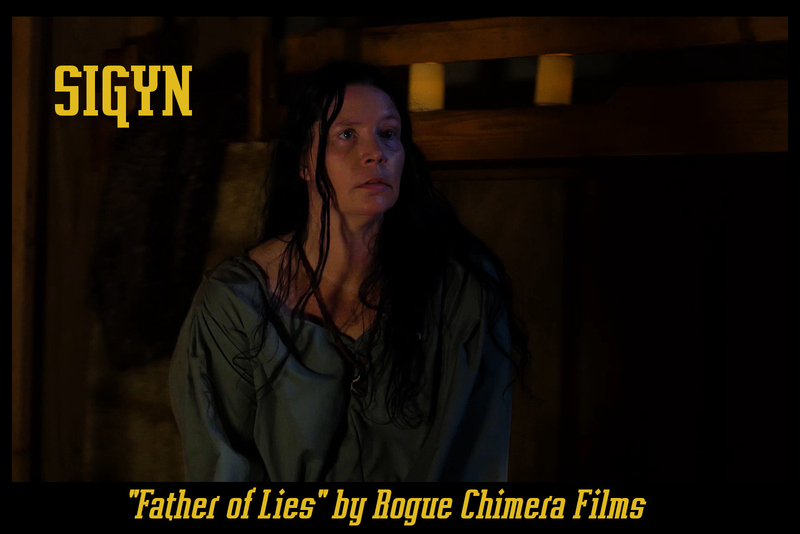 It will be in the Florida Horror Shorts Group B starting at 1:15pm on Sunday, October 28th. 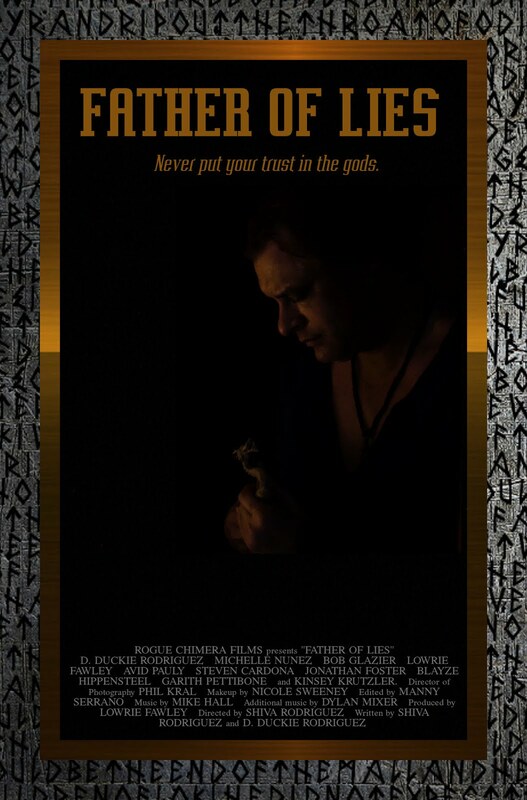 Director Shiva Rodriguez will be there along with some of the cast and crew members. If you are a big horror/sci-fi fan, this is one of those big events that is not to be missed! Father of Lies will be screening at the Shawna Shea Film Festival on October 4th in the Shorts Program starting at 4:30PM. 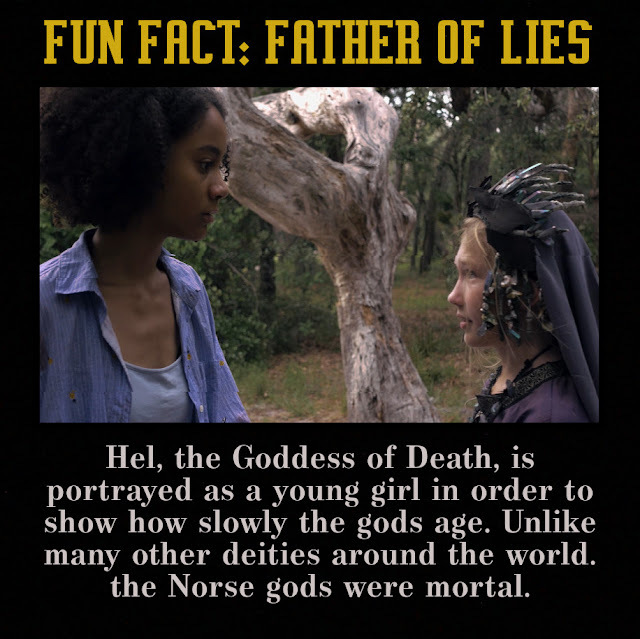 The goddess of death is one of the most powerful of the gods, but she'll always be Daddy's little girl. Brave Sigyn will do anything to protect her children, even if it means defying the All-Father. Rachel's son Rick wants to follow in his mother's footsteps. Unfortunately, those footsteps lead down a pretty dark road.